How To Locate Storage Auctions In Your Area. Finding storage auction listings can be a daunting task. If you live near Houston, Dallas, Fort Worth, San Antonio or Austin, Texas, finding storage auctions is very easy because AuctionsTX.com provides the most comprehensive storage auction schedules available. If you don't live near one of these cities, the following article will help you locate storage auctions in your area. Most smaller cities and towns don't have a centralized information source to find storage auction information. This being said, you will have to search multiple sources to find storage auction listings in your area. These sources include newspapers (large, local & business), websites for the newspapers, the storage facilities, storage auction websites (national, regional & local) and the auctioneer's websites. This guide is meant to help you save time and money on your quest for information. Let's take a look at your options. Your number one source for storage auction information could be your local newspaper. Some newspapers even have websites where you can search for legal notices for free. Some newspapers do charge a fee, usually between $100-$200 for an annual subscription. Depending on the size of your city, you may only need to look in one source. Smaller towns typically have one newspaper in which every storage facility within the area must advertise their legal notice. Your search may become more difficult if you live in a medium to large city because there may be several or more newspapers which publish legal notices. In large cities like Houston & Dallas / Fort Worth areas, there are over 40 smaller independent newspapers which publish these notices. In areas like these, newspapers may not be your best option because, the cost to subscribe to and the amount of time required to search this many sources can be overwhelming. Not only that, it can be a real hassle to organize all of the dates, times, locations, etc. Keep in mind, auctions that are advertised in large newspapers are usually swarmed with new buyers due to the popularity of the storage auction reality shows. Storage auction listing services can be a good resource but, you have to be careful because some don't deliver what they promise. If you are lucky enough to have one of these services that covers your specific city, this will be the best resource you could find. Local storage auction listing services are extremely rare; at this time, I believe there are only a handful that focus on a specific city. Our service focuses on storage auctions Houston, Dallas, Fort Worth, San Antonio & Austin, Texas. There are several storage auction listing services that focus on individual states, some of these can be great resources as well but, they usually aren't as thorough as the local services. Last but not least, there are a multitude of national storage auction listing services. I don't recommend using one of these services because their coverage area is so large and they neglect a majority of the storage unit auctions in most areas. Also, most of them are basically reselling information you can get for free, with minimal effort. Another great way to find storage auction listings in your area is to locate the auctioneers that handle the auctions for the major storage facilities. You can locate these auctioneers through the search engines by using the following phrases - (storage auctions auctioneer your city) or (U-Haul / Public Storage auctions your city) or (storage auctions your city). In most areas, these search queries will produce 2-10 results from local auctioneers, newspapers & storage auction listing services that conduct storage auction events. Most of these auctioneers will have a page on their website which lists their storage auction schedule. Keep in mind, their websites only list the auctions that they are conducting. Some storage facilities do publish their upcoming auctions on their website. I recommend using the online yellow pages, Google Maps or Yahoo Local search for this information because you can limit the search to provide listings of storage facilities within your zip code. Most of these results will include links to the storage facility's websites. If you have a lot of time on your hands, the last method can produce the best results. Calling the storage facilities in your area can be one of the best ways to get up to date information on local storage auctions. This method works best if you live in a smaller town or city. However, if you live in a medium to large city, I recommend focusing on your zip code or your specific community. One of the main advantages to calling storage facilities is that the facility may have advertised their auction in a smaller independent newspaper which may be difficult for the general public to find. This is especially true in suburban and rural areas. These auctions can be lucrative because a majority of the crowds will be attending the highly publicized auctions. When there is less competition at an auction, it greatly increases your odds of purchasing a storage unit at a lower cost. I truly hope this article has been helpful. Good luck at the auctions! There Are No Secrets To The Storage Auction Business. Recently, I have noticed several websites selling e-books that claim to reveal hidden ways to make a fortune at storage auctions. Allow me to be blunt; there are no hidden methods to the storage auction business, there are just things you may not have learned yet. If these self proclaimed gurus were making so much money in the storage auction business, why aren't they still doing it? If they were doing something different that was making themselves rich, why would they want their competition to know about it? Besides, how can you trust a word they say about the storage auction business when their main goal is to sell you something? Of course they're going to tell you that everything is just peachy keen in the storage auction business, they make their living off of selling you their books. They'll even tell you that you can buy units for pennies on the dollar. They won't tell you that ever since the storage auction reality shows premiered, the number of buyers attending storage auctions has tripled and that most storage units are selling at or above retail cost. These prices are fueled by the buyer's hope that there will be some unseen treasure inside the unit. Don't get me wrong, there are still ways to make a profit in the aftermath of the storage auction reality shows; However, we will cover these tactics in other articles. There is one guy out there trying to teach you how to avoid storage auction mistakes, well, paying for a book should be #1 on the list. 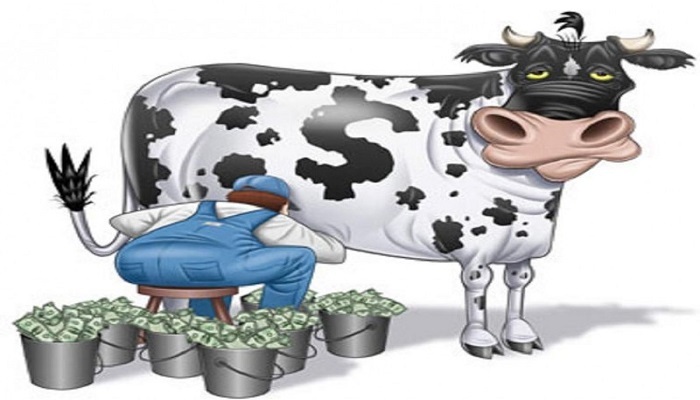 Some of these sites even claim that you only have to invest a few hours per week. I recently read the following statement on one of these websites - "Anyone can now make tons of cash working a couple of hours on the weekend & without quitting your day job! My response to this is, yeah right. This is a full time job which requires lots of time and physical labor. The people that are truly successful in this business attend auctions five, sometimes even six days a week and they aren't afraid to get their hands dirty. Although I personally don't consider attending storage auctions to be work, because they can be a lot of fun, you have to consider the amount of time you have to spend at these auctions. Also consider the time involved in doing research, cleaning out units, sorting through the contents, taking pictures, posting items online, answering phone calls, meeting with customers & having sales. This can easily add up to over eighty hours per week. Now, don't get me wrong, you can do this business part time, but even part time is twenty to thirty hours per week minimum. If you make this your part time job, don't expect full time income. Truth be told, you don't need to buy a book to learn about the storage auction business; you can learn everything you need to know about the storage auction business right here. Keep in mind, I am not trying to sell you a book or a learning course. The reason I'm not selling this information is so you can trust that all content on this website is completely objective. In the past, storage facilities rarely ever recovered their lost rent & fees from the sale of a delinquent tenant's unit. Nowadays, this is not the case. Storage auctioneers, however, have always made a good living off these sales, especially the auctioneers who handle the larger storage facility chains like U-Haul Storage Centers, Extra Space Storage and Uncle Bob's Self Storage. I have several acquaintances that are auctioneers and from my understanding, it’s a good time to be an auctioneer in the storage auction niche. Fueled by shows like Auction Hunters & Storage Wars, there has been a migration of new bidders attending storage auctions in America. Storage units are selling for double, even triple the amount they used to sell for and storage auctioneers & storage facilities are laughing all the way to the bank. Most storage auctioneers earn 10-25% of what the storage unit sells for at auction. On average, there are 3-5 storage units for sale at each facility, and on some days, an auctioneer may have 10 or more facilities to conduct auctions at. These auctioneers could easily earn several thousand dollars or more in a single day. Not too shabby for a days work. 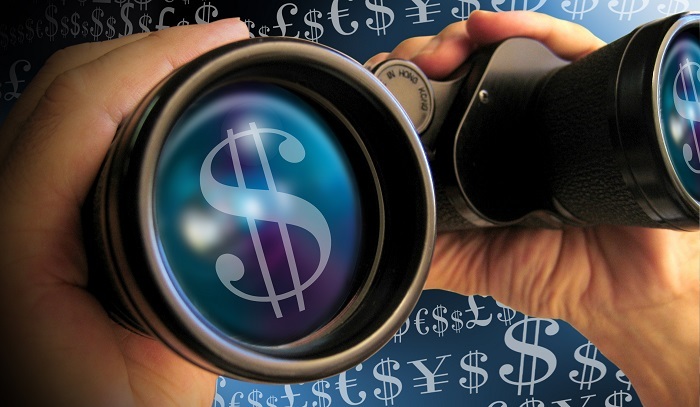 In 2012, storage auctioneers are expected to have record earnings as well. The storage auction reality shows have renewed their contracts for additional seasons so, there doesn’t appear to be any signs of a slow down in their near future. Storage Auction Schools – Worth Their Salt? 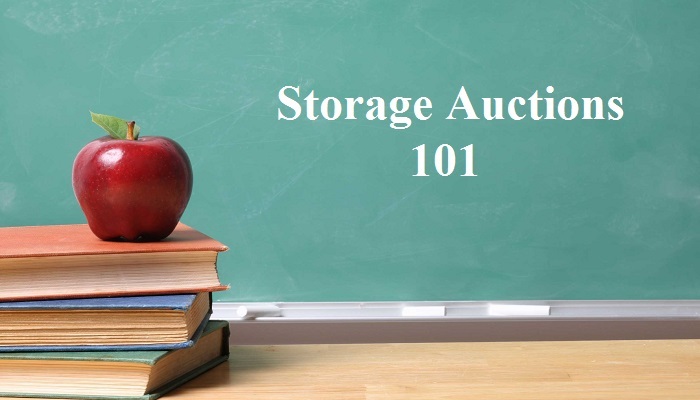 In my opinion, paying for a course to learn about storage auctions is unnecessary. Our storage auction blog is completely free and available to the public. You can rest assured that the information you receive on this blog will be objective. Some of the companies that sell storage auction courses are using marketing practices that over exaggerate profitability. They also neglect to inform the their potential customers about the current conditions that are affecting all storage auction buyers. Besides, what information could they possibly provide that isn't already available to the public? In my opinion, these self-proclaimed schools are nothing more than overpriced e-books; However, I would love to get some feedback from the creators or users of these courses. Even if you haven't used one of these courses, do you think they are worth their salt? This subject is open for debate and I welcome your interesting and creative responses. Lately, I have noticed that around 15% of storage facilities in our area don't have storage auctions at all. Although some facilities claim to have a perfect payment history and that they haven't had to have an auction in years, one has to wonder what these storage facilities are really doing with contents of the storage units. Now, I can understand that some storage facility owners don't like dealing with the expense and headache of holding a public auction. Placing a legal notice in a newspaper can be expensive and if the unit or units aren't worth very much, the facility could actually lose money by holding an auction. I have even spoken with facility owners who claim that the contents of the foreclosed units are mainly trash and that they are taking the property to the dump. Who are they to decide what has value and what doesn't? Most storage facility owners are millionaires and in their eyes, common items could be viewed as worthless. Besides, you've heard the old saying, "One man's trash is another man's treasure." If a storage facility throws away the tenant's property, this isn't fair to the tenant because they could possibly have recovered some money from the sale of their goods. In the state of Texas, storage facility owners are obligated to contact the delinquent tenant, if they have recovered more than what was owed in back rent and late fees from the sale of the tenant's property. Any overages must be refunded to the tenant. Lately, I have spoken with several storage facilities that dispose of the contents in storage units by having a garage sale. Basically, they place an ad for the garage sale in the local newspaper, then they remove the contents of the unit and sell each item individually. This can be a good way for the facility to get top dollar for the merchandise, but is it legal? When these storage facilities have garage sales, the contents from multiple units are mixed together. There is no way to tell how much money is recovered from the sale of each tenant's property, thus depriving the tenant from any refund. Some storage facility owners even have a small group of people that they contact when they have a unit for sale. They make a few phone calls and then the unit is sold. They never even notify the public. In my opinion, the only way to fairly dispose of a delinquent tenant's property is to offer it for sale to the general public.. Lately, I have even noticed a few storage facilities that have opened resale shops. Now, I'm not totally against this but I do believe there is a conflict of interest. If a storage facility owner has to keep the inventory of his thrift store fresh, they are less likely to make payment arrangements with the delinquent tenant. I can understand placing the contents of the unit in a resale shop if the storage unit went to auction and nobody bid on it; But, I feel that selling the contents of the unit in a resale shop without holding a public auction is unethical. Another thing to consider is, if your personal property was foreclosed on, would you want it displayed at a thrift store in your community? So what's your opinion? Should storage facilities be required to hold a public sale in all circumstances? Should storage facility owners be allowed to operate a resale shop at the storage facility? Do you think it is legal, ethical or that a conflict of interest exists? Please leave you interesting & creative responses below. Due to to the popularity of the storage auction reality shows “Storage Wars” and “Auction Hunters,” new buyers have been flocking to storage unit auctions across the country. Some amazing treasures are found in the storage units on these television shows, leading the general public to assume that this is a common occurrence. Although you can find some amazing & valuable items in storage units, it just doesn't happen that often. Because these buyers assume that they are going to find some valuables hidden within the unit, the bid amounts have doubled if not tripled since November, 2010. I knew it was just a matter of time before someone figured out a way to capitalize on this change in our industry. This new scam takes advantage of newcomers, people who like to gamble & people who profile a storage unit. This scam only works in states where the storage facility is required to refund any overages to the delinquent tenant. In order to even think of this scam, you would have to have a knowledge of the storage rental business & storage unit auctions in general, which means that the people involved in the scam could be present at the auction and you would never even know. Basically, this is how the scam works. The unscrupulous individual rents a storage unit with no intention of ever making another payment. They then stage the unit to peak the interest of the buyers at the storage auction. After 3 months of non payment, legal notices are placed in a local newspaper and the unit goes to public auction. If the unit sells for more than what is owed in back rent & late fees, the overage must be refunded to the perpetrator of the scam . Although the possibilities are endless, here are a few things to look for that these scam artists might do in order to make a storage unit appear to have value. They may rent a large unit and fill it full of new moving boxes. A unit with nicely organized contents used to be a strong indicator that the owner of the unit had something inside worth protecting. The scam artist could even write things on the side of the boxes to peak your interest. For example: “Grandma's Collectibles”, “Lionel Trains” or even “baseball card collection”. When you open the boxes, they might be empty or filled with worthless items or trash. In another scenario, the scam artist may place some expensive items in the front of the unit, and then place a mattress or boxes in the way to block visibility of the back of the unit. Keep in mind that the expensive items may have condition or mechanical issues that you cannot see. The scam artists then fills the back part of the unit with worthless items or trash or just leaves it empty. If you assume that the merchandise in the back is as good as the front, not only will you lose money but you might have to make a trip to the dump. Just remember the number one rule. “Only bid on what you can see.” If you follow this rule, you will have a better chance of making a profit on every storage unit you buy. I truly hope this article helps some of you avoid making an expensive mistake. We created our Dallas / Fort Worth storage auction schedule, because we recognized a problem with the former methods of obtaining storage auction information. Before AuctionsTX.com came along, a storage auction buyer had to subscribe to three expensive newspapers and read them every day, and they were still missing auctions. Not only that, they would have to spend numerous hours organizing the information, every month. If you're new to the storage auction scene, allow me to give you some advice that will save you time and money. If you're an experienced storage auction buyer, you already know what I'm going to tell you. Ever since the storage auction reality shows premiered on television, there has been an influx of new buyers at the highly publicized storage auctions. Because of this, it has become more difficult to buy a unit at a price you can make a profit on. Don't get me wrong, you can still make money with storage unit auctions, you just have to get off the beaten path in order to get a great deal. As I mentioned earlier, even if you subscribed to the three mainstream newspapers, you would still be missing auctions. The reason for this is that there are over 1100 storage facilities in the greater Dallas / Fort Worth area and over half of them place their public notices in one of over 30 smaller community newspapers. The auctions that are advertised in these smaller newspapers typically have fewer buyers in attendance and when there are fewer people at an auction, your chances of getting a good deal on a storage unit increase. We are the only source that provides a complete storage auction schedule in the Dallas / Fort Worth area. On average,we list over 300 storage unit auctions every month. We even provide 25-40 storage auctions each month, that you cannot find on any other website. We save you time by doing all of the research for you. We are by far the most affordable storage auction listing service. Our auction list is user and printer friendly. You can print out the auctions for the entire week with one click of a button. We offer educational material and blogs where storage auction buyers of all levels can ask and answer questions. Click here to take a video tour of our website. We realize you don't want to spend you're valuable time doing research. You want to spend your time at the storage auctions looking for some good deals. Click the join now button for instant access to the auction list. Texas Storage Auction Schedules and News launches a new niche website which provides storage auction schedules for Houston, Dallas, Fort Worth, San Antonio and Austin area storage facilities. Once a relatively unknown industry, storage unit auctions have been brought into the limelight by reality television shows like Auction Hunters and Storage Wars. Storage auctions are now teeming with buyers eager to get their hands on a storage unit. One of the most difficult and time consuming aspects of the storage auction business is finding out where and when the next storage auction is occurring. Today's storage auction buyers aren't clipping ads from the legal notices section of their local newspaper, they're turning to storage auction websites that do all of the research for them. One of these websites is Texas Storage Auction Schedules & News, which publishes the storage auction schedule for Houston, Dallas, Fort Worth, San Antonio and Austin area storage facilities. By focusing only on Texas, Texas Storage Auction Schedules and News can provide a more thorough and accurate schedule for it's members. “Storage auction buyers are tired of searching several sources to find storage auction information,” said Travis Lane, owner of Texas Storage Auction Schedules & News. “We believe in doing one thing and doing it well. Our goal is to provide a valuable service that saves storage auction buyers time and provides them with information they couldn't find on their own.” This philosophy seems to be working for Texas Storage Auction Schedules & News. With thousands of new members and plans to expand to the entire state, this local Texas company continues to grow at a record rate. What makes this website truly unique is how the information is obtained. National websites like AuctionZip and Storage Treasures miss a lot of storage auctions because they rely on the participation of storage facilities and auctioneers. Texas Storage Auction Schedules and News actually seeks out storage auction information by contacting the storage facilities directly. This approach is highly effective, resulting in the most comprehensive storage auction schedule available for these five cities in Texas. This website even provides information on storage auctions that are unavailable on any other website. The goal, at Texas Storage Auction Schedules and News, is to modernize and unify the storage auction notification process by creating a centralized information source for all storage auction buyers, storage facilities and auctioneers in Texas. Texas Storage Auction Schedules and News isn't just about storage auction schedules, the website's storage auction blog provides news and educational material which discusses all aspects of the storage auction industry. With hundreds of quality articles, readers can learn all about storage auctions and get expert advice from professionals in the storage auction business. Texas Storage Auction Schedules & News is a wealth of information rolled into one neat little package. This website really is a must for anyone who is serious about attending storage auctions in Texas. Original article was published in The Houston Chronicle.